You may have done the most amazing repair at the most reasonable price, but if the customer perceives that they were overcharged or there’s some other misunderstanding, then their perception is not going to be a positive one. It has been said that you only get one chance to make a good first impression, which is doubly true in our profession. If that first impression is a bad one, then it will take a lot of time and effort to turn it around. We constantly hear about the value of repeat customers, but are we doing our part to establish an atmosphere that creates that desire to come back? If you’ve been following the Service Advisors Guide, you’ll remember that you’ll get more total sales from a customer that is happy with your services than you could hope to get from a dissatisfied customer in one visit. Not only do you achieve a higher “Lifetime Dollars Spent” from the customer that perceives you have done them a worthy service, but they will also become your ambassadors to others. How do we improve a customer’s perception of us? The initial call or walk-in is the first step. We’ve already discussed properly answering the phone and greeting a customer as soon as they walk in the door, but consider this: would you be willing to take a new customer on a shop tour? Why not? Would Colonel Sanders in his white suit be comfortable walking through the bays of your shop? Would your mom be embarrassed to see girly calendars on the toolboxes? What about blaring music or cursing technicians? Are you getting my point here? If you really want to “Wow” a new customer, walk them through a clean, well lit, state-of-the-art facility with professional-looking technicians. Then return to them a clean, repaired, and delivered-as-promised vehicle for a reasonable price, and you will have a customer that perceives that they have received more than they expected. Digital inspections and pictures have revolutionized the process. We have recently had 2 vehicles that were repaired at dealerships within the last year and now are in our shop for service. In both these cases, we are able to prove, with pictures, that the previous repair was incomplete or just plain done wrong. Without this ability, it is our word against theirs. Don’t misunderstand me here; I have worked at dealerships with some of the best, most conscientious technicians there are, but the dealership world can often generate a need to focus more on speed than quality. (Another topic for another time.) 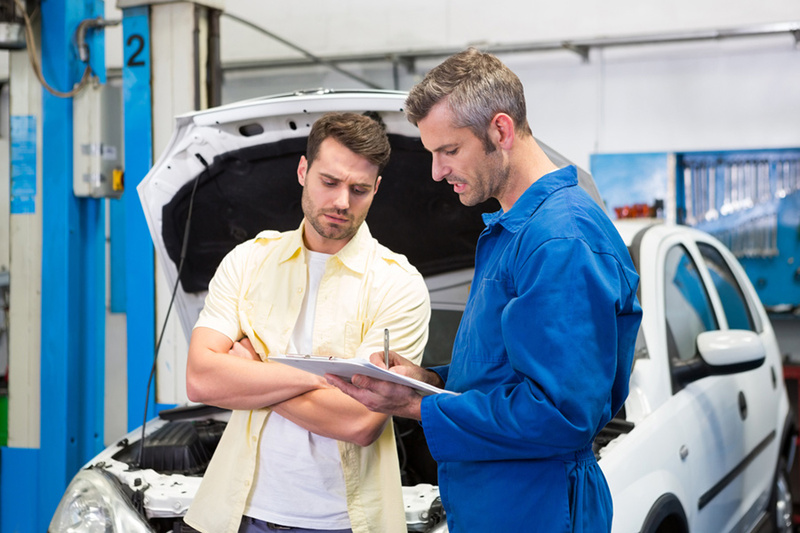 Typically, a customer “perceives” that the best technicians and the best repairs are performed at dealerships. The dealers have done their job well at creating that perception. What do you think the general public’s perception of the independent repair shop is? Experience has shown that most people perceive that they have to be vigilant to not get taken advantage of, that mechanics are overcharging grease monkeys that will probably leave handprints on their car, and there’s little chance the vehicle will be repaired right the first time. No matter what your advertising promises are, you have to prove to them that you are here to not only meet but exceed their expectations. Communication is key. Keeping a customer constantly updated gives them the sense that you are doing your best for them and that there will be no surprise add-ons once the job is complete. If you promise to call a customer with a report at a specified time, then do your best to keep that promise. In my case, I often use a comment like, “I’ll try to call you by 2:00. I do get very busy sometimes, so if I don’t call by then, you call me.” Being able to thoroughly explain everything that has gone into the repair or service also gives credibility. This goes back to good communication between the technician and the advisor. I cannot overstress how important this is. Trust between the tech and the advisor is necessary to help generate trust between the advisor and the customer. Here’s an example I often use when training advisors and techs on the proper use of the PMI. A vehicle comes in for typical service, and the technician performs the service complete with PMI. The owner comes to pick up their vehicle and asks the advisor if the tire pressures were checked. Can the advisor confidently answer that the technician absolutely did check the tire pressures? I had a technician once “pencil whip” the PMI. Based on that, I answered that the tire pressures had been checked. The owner then asked me to come out and see that his car was sitting on a flat. Not only did he now perceive that we were liars, but now he questioned what else had been skipped or overlooked. It has been my experience that most, not all, customers are reasonable. Most of them expect marginal service at best. It’s not that hard to impress someone with low expectations so that they perceive that your shop can be trusted to provide them with the best value for their dollar.